Where is the Jibbon Beach walk? The Jibbon Beach walk is an easy coastal walk in Royal National Park, with well-preserved and easily accessible Aboriginal carvings. It's a great way to start your exploration of The Coast Track. Not very hilly but quite a bit of soft sand walking across a beach. Marked bush track, uneven ground. Jibbon is the name of the beach and area east of Bundeena, in the Royal National Park, Sydney. It derives from the Dharawal word djeebahn, which means ‘sandbar at low tide’. Keep reading for detailed track notes about how to get to the Aboriginal carvings, as well as some of the stories to understand what you’ll see in this beautiful area. 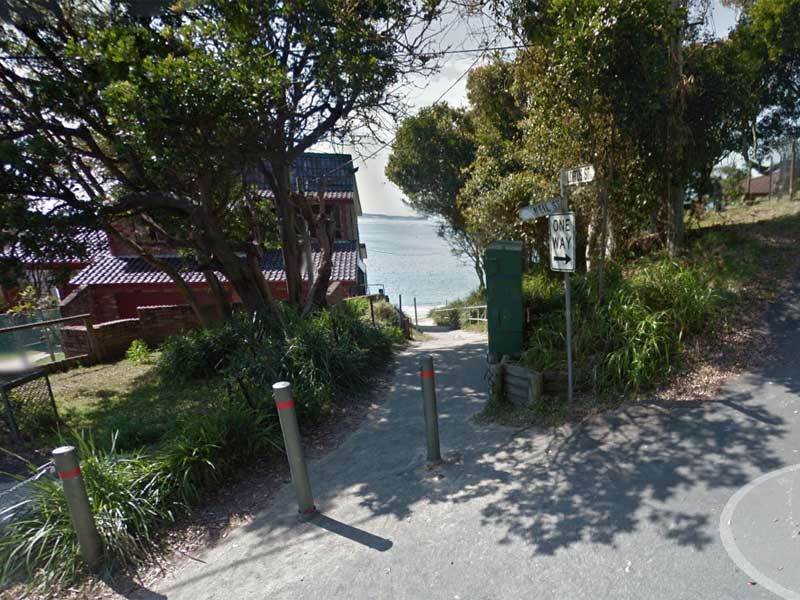 The Jibbon Beach walk starts at the intersection of Neil and Loftus Streets, Bundeena. There is a small pathway leading down onto Jibbon Beach. Check out the city skyline on the horizon, and enjoy the contrast of being on a near deserted beach less than 20km away (as the crow flies) from Australia’s largest city. Turn right, east, along Jibbon Beach. Walking along Jibbon Beach, leaving the township of Bundeena behind. After approximately 100 metres, you’ll see a track to your right. Don’t turn down the track, instead just use it as a marker to keep going another 150 metres, then walk towards the back of the beach. Look for a grassy mound and an exposed section of bleached white shells. This is the most obvious part of the 7000 year old midden that stretches the entire length of Jibbon Beach. Face the midden and envisage the hunter gatherer existence of the Dharawal people who lived here at least 7000 years ago. Now turn around and try to imagine Cronulla and Sydney as they saw it. The midden at Jibbon stretches along the length of the beach. Enjoy your walk along the rest of the beach. You might find some cuttlefish skeletons, NZ pumice or Port Jackson shark eggs in spring and early summer. The unusual and distinctive shape of a shark egg, found on Jibbon Beach. At the end of the beach is a rock ledge that was like a seafood market for the Dharawal. All that remains are empty oyster shells. At low tide you will see several stairs cut into the sandstone leading from the rock ledge up onto the grass. These date from the European settlers who lived in the bush by Jibbon Lagoon until the 1970’s. Follow the track up through the scrubby lomandra and banksia trees to a grassy clearing marked by stone and steel sculptures. This clearing was an ancient Dharawal campsite and the sculptures depict the carvings you’ll see later. Dharawal people had complete knowledge of plant life-cycles. They used this, and fire, to create and maintain this grassy clearing as a camp for generations. Follow the signed bush track in the north-eastern corner of the clearing until you see a signed track junction on your right. This will take you directly to the engravings, but we prefer the more scenic way. (You can come back this way if you aren’t doing the entire Jibbon Point Trail loop). Continue past the track junction until you come to a small rock ledge on your left with views of Cronulla and the city to the north. In Royal National Park with views across to Cronulla. If you were standing here during whale migration season 1000 years ago, you might have seen Orca herding humpback whales through these heads. Orca beached the humpbacks on Djeebahn (Jibbon) enabling Dharawal people to kill and eat the whale. This symbiotic relationship was known as the Law of the Tongue. Not far from this small cliff, you will pick up the new track to the viewing platform. At the foot of the steps, look at the sandstone and see if you can spot the wallaby footprint engraved in the rock face. This is what wallaby footprints look like. From the platform you can see daringyan the stingray, a baby orca, Biame the Creator, Marloo the kangaroo and two big orca (overlapping each other) during a seal hunt. Note, we’ve chosen not to show close ups of the actual carvings due to sensitivities around publication of sacred images. These Aboriginal carvings date back to about the time of The Crusades and construction of Angkor Wat (read more about the Jibbon engravings). So just shake your head at the surfing kangaroo (or a lopsided hammerhead shark, depending which way you look at it), which is 1960s graffiti. If you are returning to Bundeena without doing the entire loop track, continue along the platform, down the stairs and this will take you back to the junction I mentioned earlier. Retrace your steps back to Bundeena. We recommend walking the entire loop. It’s beautiful and full of variety. Turn around, walk back down the same stairs and continue east along the new raised track. Follow the track until you come to Port Hacking (Jibbon) Point with vast bay and ocean views. You might see waves breaking at Jibbon Bombora and understand how so many ships came to ruin on this stretch of coastline. Follow the track south along the coast until you reach Shelly Beach. Walk down onto Shelly Beach and turn back north for a little way to shelter in a gorgeous sandstone overhang. From Shelly Beach the track leaves the coast and cuts back, west, across the headland returning you to Jibbon Beach. Keep an eye out for swamp wallaby and please shut the gate to keep the deer out! Retrace your steps to Bundeena, taking a final look at the ancient kitchen scraps of the midden. Leaving from the centre of Sydney, allow about one hour for the 56km drive. The drive to Bundeena through Royal National Park is gorgeous. It gives a sense of how big Australia’s first national park really is. Stop for coffee at Audley on the way through. If you’re driving south along Princes Highway, turn left into Farnell Avenue at Loftus, where a big sign says “Royal National Park”. It’s about 30 minutes to Bundeena from this turnoff. Follow Farnell Ave down the steep, windy road to Audley (the weir can be closed after heavy rain – check traffic updates). The road becomes Sir Bertram Stevens after the weir and continues 10km to the Bundeena turnoff. From here, continue another 10km to the village itself. When you see the shops, follow the road around to the left and turn right after the IGA on the corner into Loftus St. Follow this for 700m and just after the 90° right hand bend, turn left into Loftus St. The walkway to Jibbon Beach is at the intersection with Neil St.
Free street parking is available. The ferry ride between Cronulla and Bundeena is an experience in itself. It is the best way to reach Jibbon Beach. Built in 1939 for this exact route, the Curranulla is one of the oldest passenger ferries in Australia. The 20 minute ride across Port Hacking is a superb way to start and end your journey. The Bundeena ferry ready to depart from Cronulla. Ferries depart Cronulla at half past the hour (eg 8:30am) and return from Bundeena on the hour (eg 9:00am). Trains run regularly to Cronulla on the T4 Eastern Suburbs and Illawarra Line. Check current ferry and train timetables for up-to-date information. Walk past the green concrete shelter in the small car park and up the stairs on your left. Continue for 30 metres and you will see two brick structures on your right near the large carpark. This is the last public toilet before entering the park. Continue on the path up several stairs to the grassy clearing and war memorial beside the community club. Pass through the gate by the club, on your right, into The Avenue. Follow this for 650m as it changes name to become The Lambeth Walk and then Neil St. Continue all the way up and down the hill, around to the right to where Neil St intersects with Loftus Street at 90°. Intersection of Neil and Loftus Streets, Bundeena. Image: Google Maps. This is the start of the Jibbon Point Trail, and where you can meet people who drove. Buy an instant downloadable map of the Jibbon Beach walk and the full Coast Track. Tagged Aboriginal, Jibbon, Royal Coast Track, Royal National Park, Track notes. 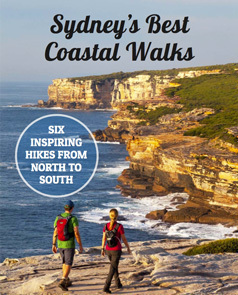 With the advantage of local knowledge and a belief that the best natural beauty can only be experienced by foot, Ian founded Sydney Coast Walks in 2009 after a decade of travelling the world. Buy the Jibbon Map here, includes the full Coast Track for more adventures. The map follows the full length of Royal National Park’s Coast Track.